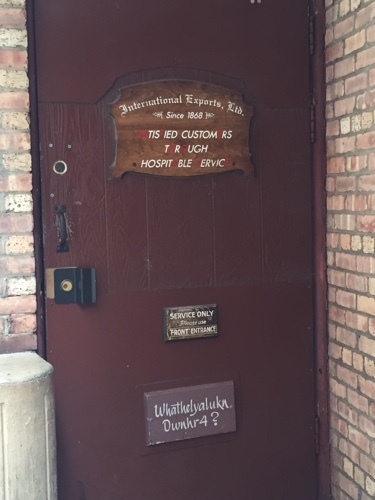 Walking around the streets of Milwaukee, there is a hidden gem restaurant lurking around the corner in an unsuspecting location. 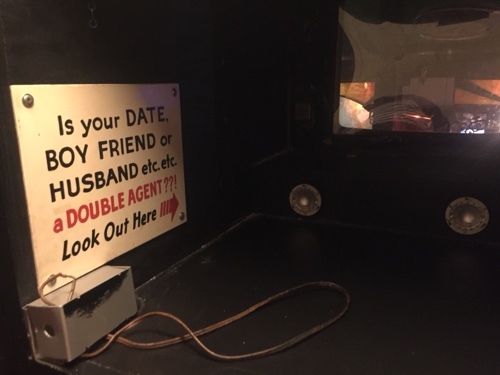 If you’ve ever been to downtown Milwaukee and have never seen the signs for SafeHouse, there is good reason for that. 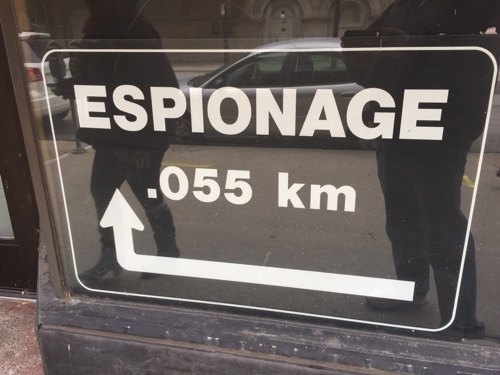 You may not even notice the street signs that point to nothing else other than “espionage” around the corner. Sharp-eyed tourists and even locals often don’t even know what this is. 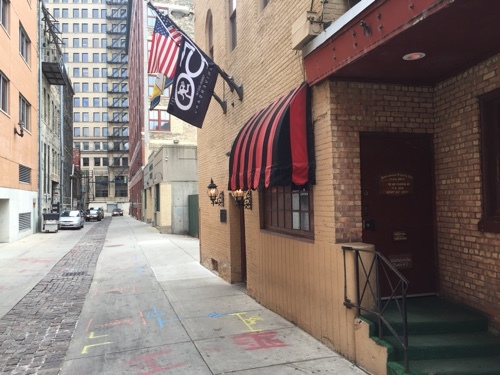 Follow the signs for espionage and it will lead you this unassuming entrance in a side alley smack dab in the middle of downtown Milwaukee. 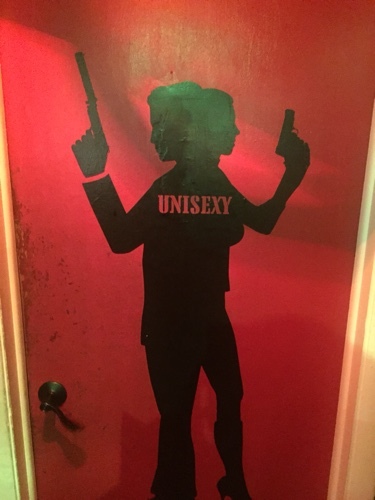 If you can decipher the code on the door, you’ll know that you’ve found the right spot. Once inside, you’ll find yourself in a small living room complete with a fireplace, a bookshelf, and a receptionist asking for the secret password. 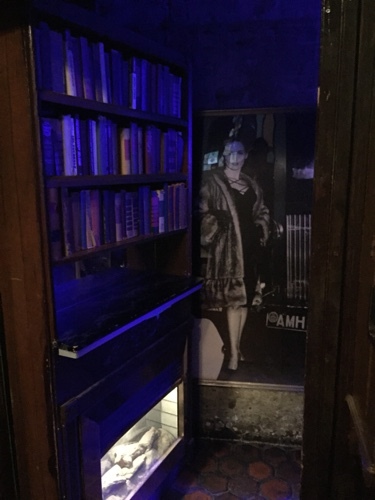 Once obtained, the receptionist will trigger the bookshelf to swing open and allow you access into the SafeHouse. What is SafeHouse you ask? 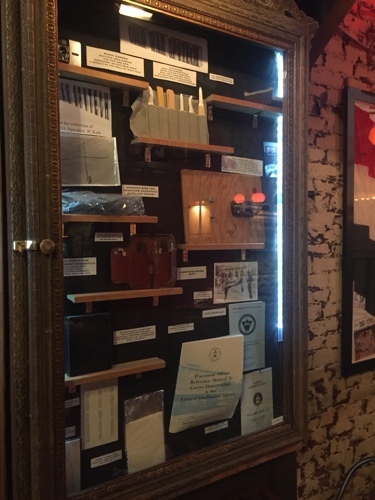 It’s part bar, part restaurant and all kinds of secret spy gadgets and history scattered all over this huge location. 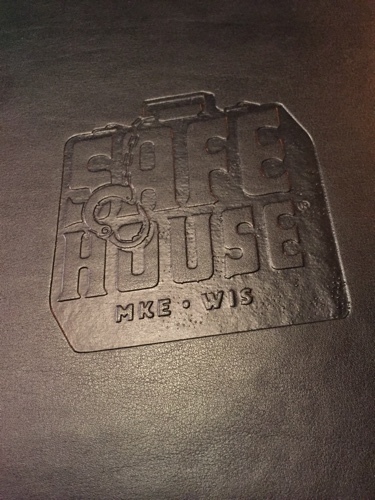 Celebrating 50 years as of October 2016, SafeHouse has been Milwaukee’s best kept secret for half a century now. By day, this restaurant sees a lot of families with small children. 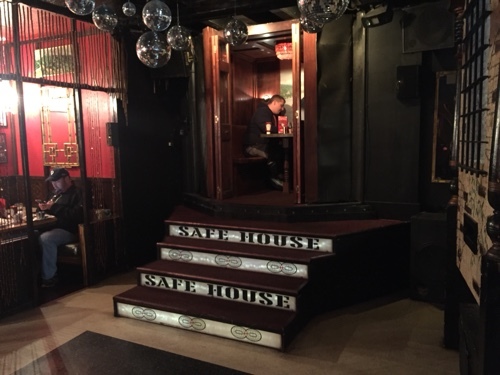 But by night, SafeHouse actually has a lot of adults headed to the bar and even hosts bachelor/bachelorette parties and corporate events. 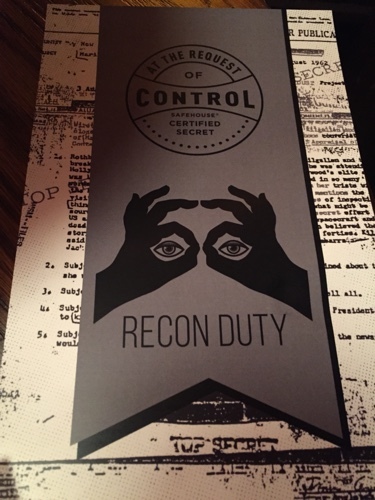 The menu is fairly clever, featuring salads and sandwiches with themes of espionage and even nods to famous spies from television and films. 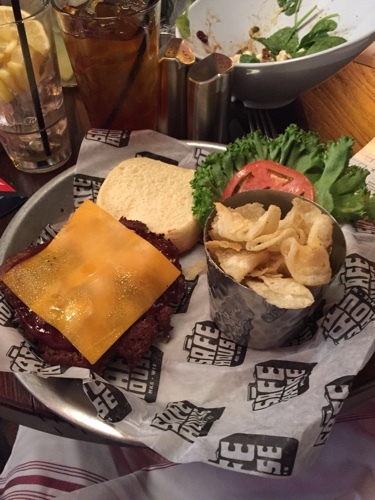 The food was surprisingly good for a themed restaurant. However, the service is notoriously slow. On the plus side, it gives you time to explore. 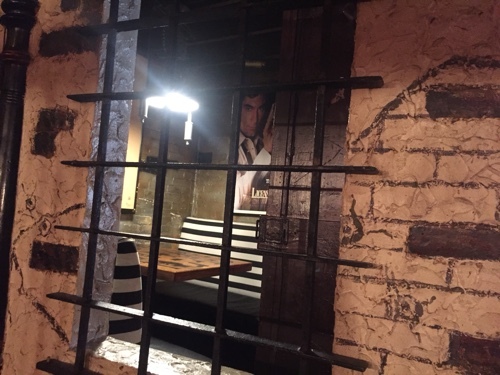 The real thrill of this restaurant is getting to explore all the various rooms. 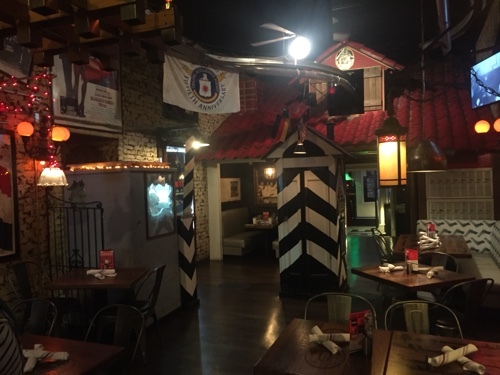 Nearly every table has a unique theme or location that ties in with the motif. 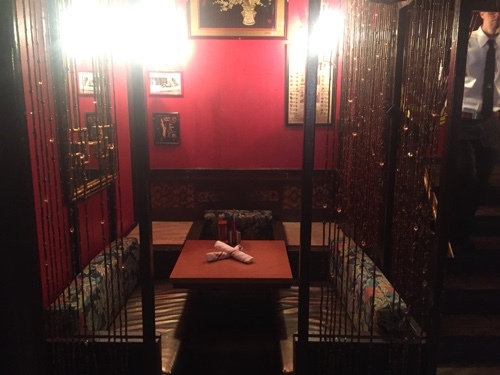 In the booth above, once you close the wooden doors, the entire table and everyone inside spins around to reveal another part of the dining room! 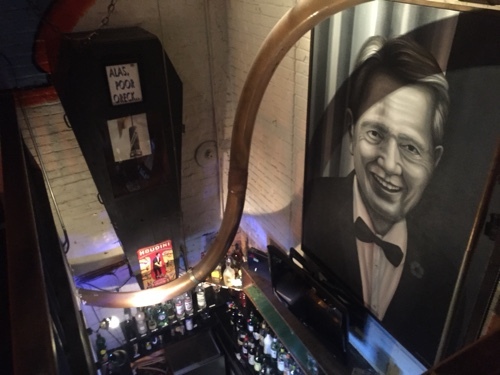 The level of detail is pretty extraordinary in a one-of-a-kind establishment like this. 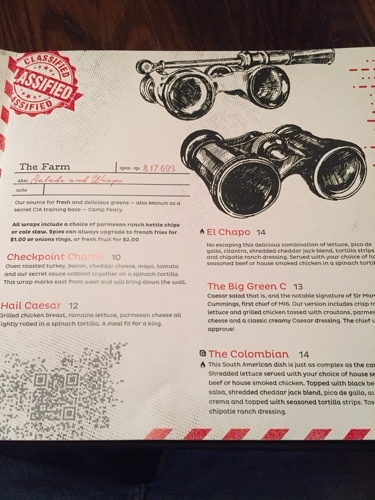 SafeHouse gives each guest a scavenger hunt of sorts and encourages each of its newly recruited spies to go out before, after or even during your meal to explore the entire facility looking for various hidden things in the restaurant. 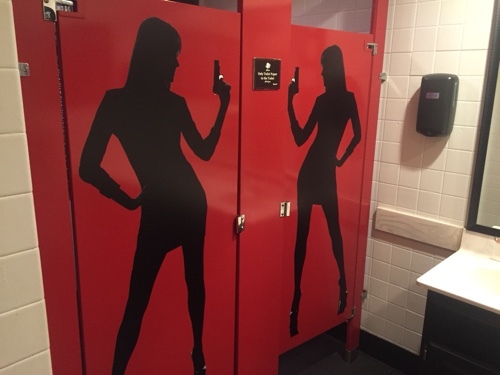 This scavenger hunt will send you literally everywhere in the building, including the restrooms, which have their own unique spy details! 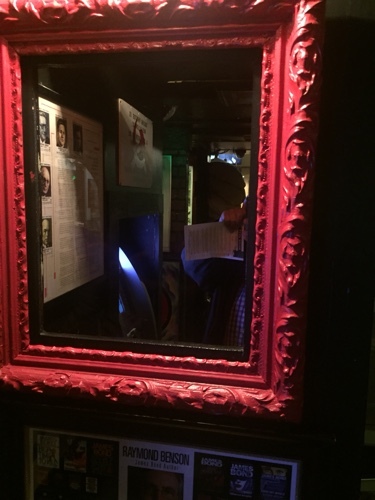 There is even a spot in one of the restrooms where you can open up a mirror and spy on the bar! Seriously! 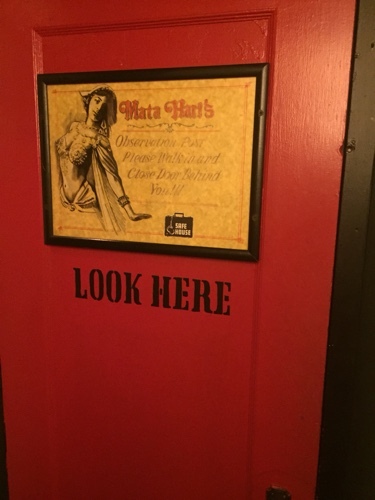 There are two bars in SafeHouse Milwaukee and one is even themed to magicians! 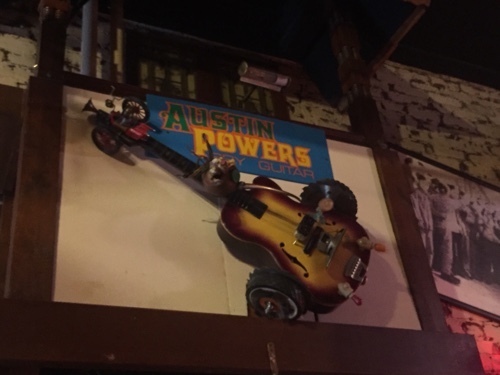 There is even movie memorabilia like this guitar used in the “Austin Powers” movies! Needless to say, there is also a ton of actual documents and gadgets used by real spies! 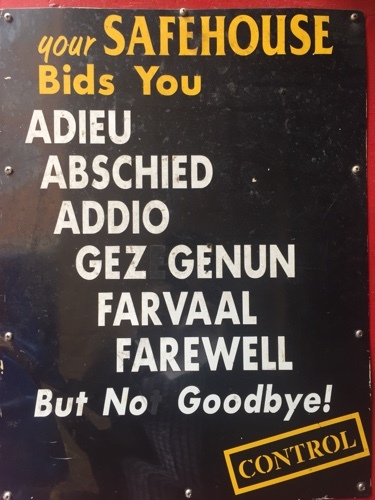 In order to leave this establishment? You have to find the secret door and unlock it via your thumbprint. Once inside, you’ll have to make a phone call to get activate the hidden exit door. 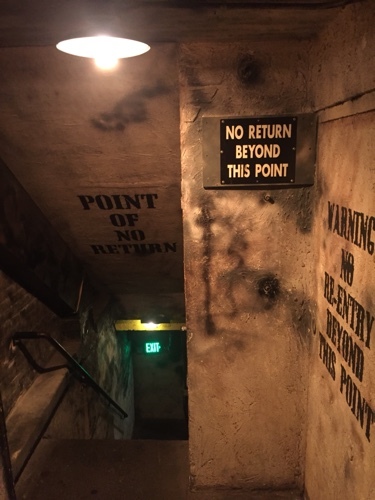 This exit literally tunnels under the entire restaurant and out another side door back into the streets of Milwaukee. 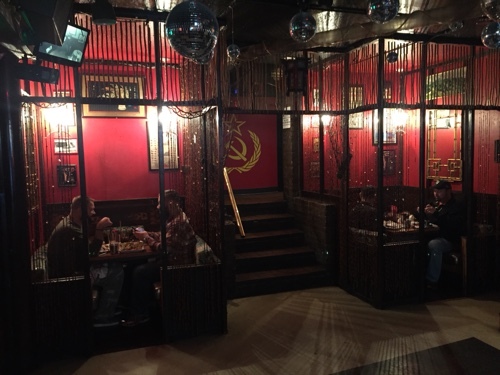 This is easily one of the best themed dining experiences I have had anywhere. 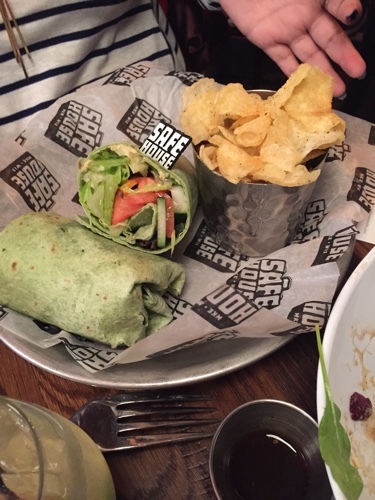 The next time you’re in Wisconsin you have to check out SafeHouse Milwaukee. 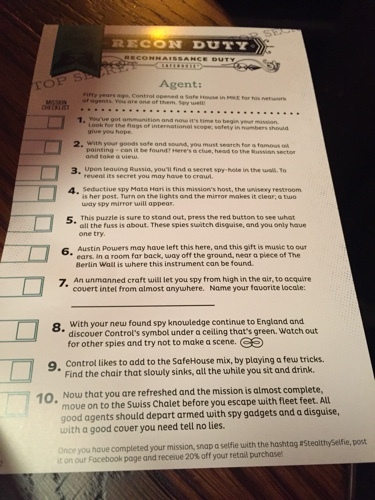 This entry was posted in Theme Parks 101 and tagged Austin Powers, SafeHouse Milwaukee, spy theme, themed restaurant, Wisconsin. Bookmark the permalink. Trackbacks are closed, but you can post a comment.